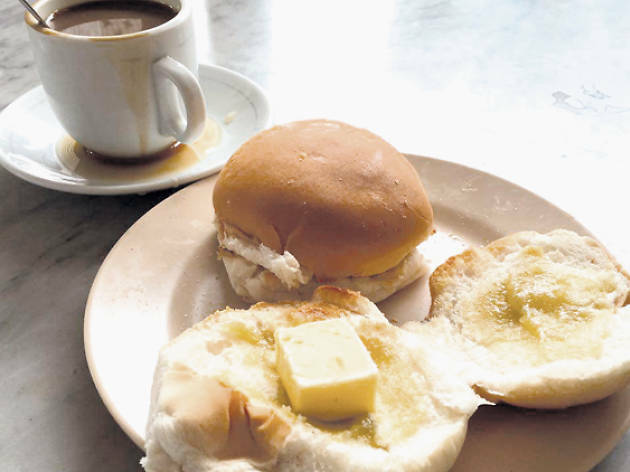 This OG kopitiam has been a breakfast institution for generations. 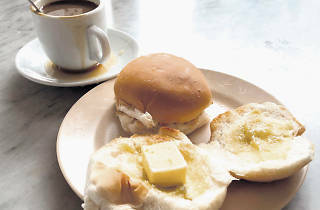 Nothing much has changed over the years: it’s still toasting kaya buns over a charcoal fire and using a sock to pull kopi. Even the interior has remained the same. The kitchen occupies half the shop, giving the aunties who run the show ample space to bake. Every 15 minutes or so, you’ll see one of them emerge from the back to put out a tray of freshly baked cupcakes. So if you ever see a batch of chocolate cupcakes, grab them before they’re all snapped up by bulk orders.